Upfront, I’m not a pro photographer or even trying to make a living through photography; I’m just a retired guy who loves photography, nothing more. Over a year ago I decided to make the leap to Canon’s L Series lenses, a move I still don’t regret. I settled on the EF 24-105mm f/4 L IS USM because it was such a versatile lens and would be the work horse that I’d use most. I also wanted a decent wide-angle and after some research settled on the EF 16-35mm f/4 L IS USM, it would replace the EF-S 10-22mm f/3.5-4.5 USM which is alsso a great lens! In the bag at the time I had a Tamron 28-300mm F/3.5-6.3 Di VC lens which I loved. I wanted something in the bag that could reach out to 300mm, if it was too big to carry it probably wouldn’t be with me when I went out. I knew this dream lens would be expensive, but after doing some research I found that all the lenses in this genre were huge. Like I said, if this didn’t fit in my bag I knew I wouldn’t use it much. Then I read about the Canon EF 70-300mm f/4.5-5.6 L DO IS USM (above). I’ve been happy with this lens to say the least. I’ll be honest, I read some less than favorable reviews about this lens before I bought it, especially at Ken Rockwell’s website. He’s a pro who knows his stuff, I always check his website for great reviews. Mr. Rockwell reviewed this lens and had a few bad things to say, nothing that didn’t keep me from taking a chance (here’s a link to his review). I agree with his opinions as well, there are better Canon lenses for less money, but again I wanted a lens I’d actually carry daily. As my wife can attest, when I don’t use something I generally sell it. This photo at right, Duet, was another instance where I was driving and saw these guys kite surfing and broke out thee trustee EF 70-300mm! I do have a longer lens at home that reaches out to 600mm, but it’s nothing I’d carry everywhere I go. On the other hand, if I had seen these kite surfers and was going home to get my gear, I’d have grabbed the 600mm in a heartbeat. However, having my camera handy and the 70-300 in the bag meant I got the shot! I own four lenses but three of them are with me whenever I go out. The photo at left, RMS Queen Mary, like the others was taken when I couldn’t have shot this if not carrying a compact 70-300. Below left (Chutes), this Canon lens does a good job capturing a jet powered truck going 340 mph! And below right, San Diego Bay, was taken when I was shooting pics at 5k race and had no intention of shooting the bay until I saw this, threw on the 70-300 to get it, then went back to the 5k! The common denominator here is that these shots were taken while out doing something else and having this lens handy meant being able to reach out 300mm. 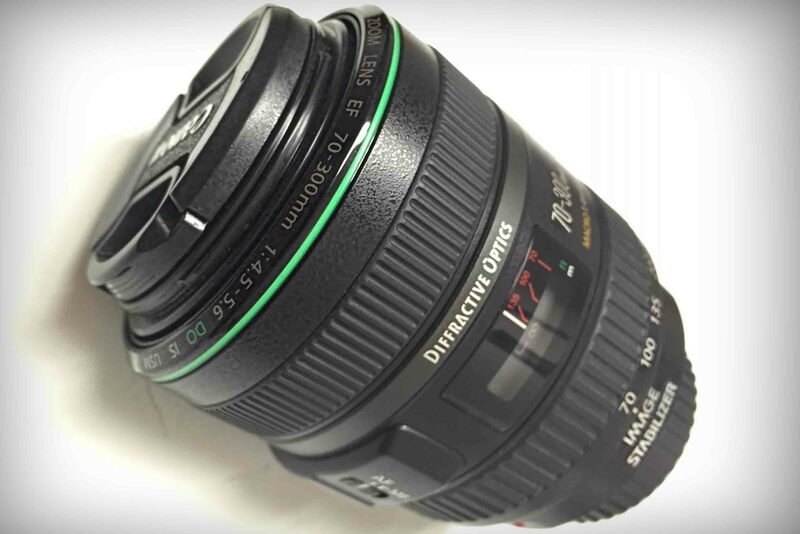 This lens also means having room in my bag for other lenses or items. If I carried one of the other longer lenses, I’d be leaving one of the others at home. Sometimes taking a chance pays off. San Diego Bay with sailboats moored, paddle boarders passing by the San Diego-Coronado Bridge, and the shadows of US Navy ships in the background.